It was only meant to be a ‘Friendly’ as Hull FC took on Hull KR in the traditional pre season Clive Sullivan memorial trophy game, but somebody forgot to tell the black and white’s squad that were on duty with a pack that bore a striking resemblance to a full Panzer Division with one particular Tank as its leader. It all started so well for the Robins as they took the game to their neighbours and even had the temerity to take the lead with a try and goal from Josh Mantellato early on, but their joy was short lived as the Airlie Birds took full control. Sika Manu started the alarm bells ringing as he swatted away three defenders with ease and crashed over far too easily and it didn’t take long for them to take the lead either as another new player Mahe Fonua was given far too much room on the right to get over in the corner, Marc Sneyd was having a good day with the boot as well as he dissected the posts from every which way all over the pitch. At this point as well the Tank made his entrance and signaled his intent with his first charge which required the attention of no less than four defenders to eventually drag him down to the ground. The team in blue and gold then dragged themselves back up off the floor and their former black and white brought them back within two points, but there and then the contest ended as the corks began to pop and the champagne rugby league started to flow through the team in black and white. Frank the Tank made a break, a sublime offload to local lad Josh Bowden carried on the work as the prop resembled a half-back to dash through, and the greased lightning full-back Jamie Shaul was on hand to race over unopposed with Sneyd making it a two score lead with the boot. Straight after that another debut maker Carlos Tuimavave got in on the act to scramble over on that lethal left hand side to just about put the match to bed and it was still the first half, then he engineered a try for Steve Michaels straight from the restart to finish the game as a contest without any shadow of a doubt, and still the successful conversions rained in from the boot of Sneyd. With his trademark ‘Great big cheesy grin’ local lad Shaul made the half-time score look even more embarrassing. With a token white flag surely spiritually raised in resignation many of those in the North Stand must have been offering up prayers to a higher force or wishing the alarm clock would wake them up from this living nightmare. But the Tank and his teammates were not done yet and the 2nd half started in much the same way as the first had ended, only this time insult was added to injury as a former Robin, on his debut also for the Airlie Birds, unceremoniously bashed his way through would-be tacklers for the try his performance surely deserved. Next it was the turn of the Mini Tank as the Australian/Italian with a flare for cooking, turned up the heat to barge his way over as the black and white army edged ever closer to the half century with Sneyd keeping up his 100% record with the boot. The half century was duly passed as Frank the Tank raced away down the left and put trialist Lee Smith through a gap as wide as the Humber Estuary and once again earn a chance for Sneyd to show his pinpoint accuracy from the touchline, but how fitting that it was an ex-Leeds player who had brought up the half century as just a small reminder to what happened to this opposition when they faced the Rhinos at Wembley a mere five months before. The former Rhino, playing for a deal, then turned provider as Tuimavave crossed again and Sneyd, with 10 out of 10, ensured a record highest score in a Hull Derby was achieved and written into the record books. The Robins seem to like collecting unwanted records these days, but what now for the black and white half of the next City of Culture? Top 4? Challenge Cup Glory? For now they’ll take the Clive Sullivan memorial trophy and their new Hull Derby record score and with their Panzers gunning their engines and their enthusiastic super-fast backs ready to pounce in the style demonstrated against their nearest and dearest it must be said Super League, you have been warned!! Hull FC will hit the new Super League season with very much increased fire power after gathering some very impressive signings and an ever growing list of youth players coming through the ranks who have either already graced, or are expected to grace, Super League this year. 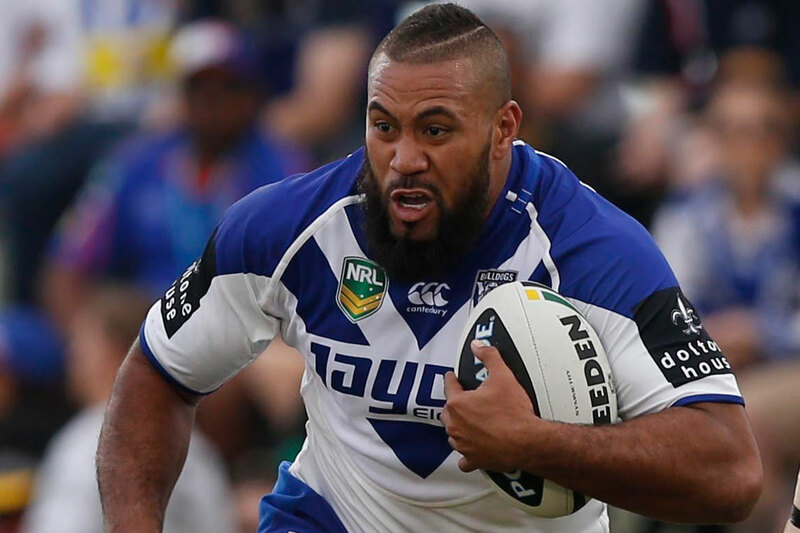 The marquee signing for the men from the KC Stadium is undoubtedly Frank ‘The Tank’ Pritchard, hence the tag line ‘Every Army Needs A Tank’ the 32 year old rugby league icon is sure to be a big cult hit with the Old Faithful and is a genuine coup for the competition as well as Hull. But another very shrewd bit of business by coach Lee Radford could prove to be the signing of Sika Manu who was pinched by the black and white’s from under the noses of champions Leeds Rhinos as the lure of the strong history between the Airlie Birds and New Zealand proved stronger than Manu, and the Rhinos, could resist. 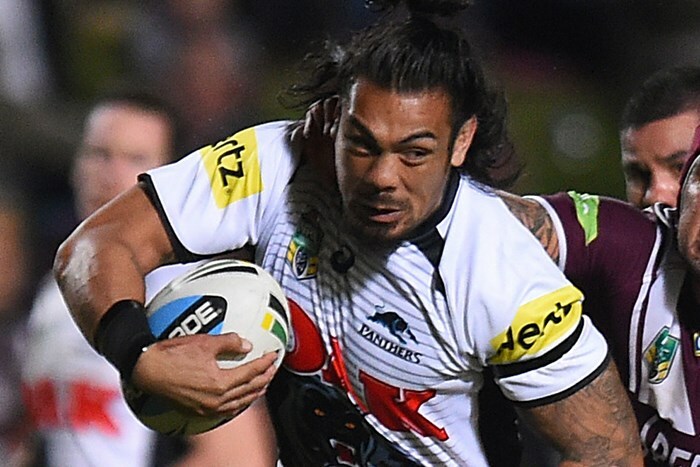 With NRL Grand Final and World Club Championship winner and Tongan international Mahe Fonua and former Junior Kiwis player Carlos Tuimavave joining the Polynesian contingent which already included Fetuli Talanoa and Feka Palea’aesina a strong bond has no doubt been formed which could prove vital to Hull’s hopes. 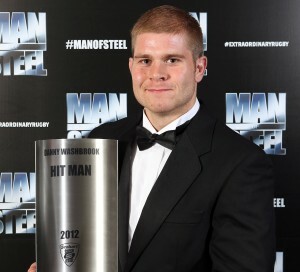 With top try scorer for them last season Tom Lineham, England player Joe Westerman (both Warrington) cult hero Jordan Rankin (Wests Tigers) and barnstorming prop Mickey Paea (Newcastle Knights) having departed Hull do have some rebuilding to do. But Fonua is very much the sort of player who can blossom in Super League and fill the sizeable boots of Lineham, when a player can be seen teasing Greg Inglis before finally dotting the ball down for a try in the corner in the NRL you tend to realise you have got a cult player on your hands, and his defending is infinitely stronger than that of the flying pig which could also prove vital. 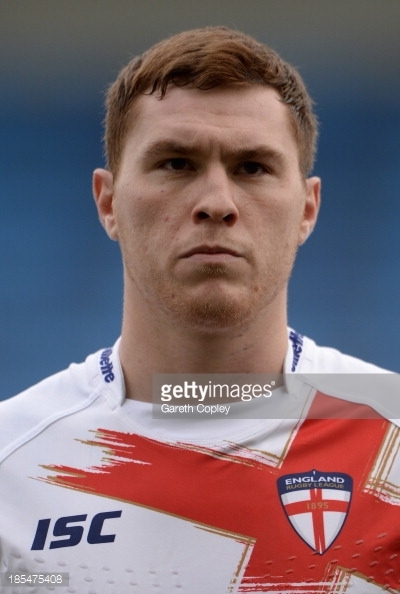 The protracted arrival of Scott Taylor has also seen Hull replace Paea with some more severe grunt that will help Hull bully teams more. Last year Hull were 2nd in the table for clean breaks but one problem for them was an exasperating inability to finish off those breaks especially when Lineham was struggling for form or out of the team, the answers to that problem would appear to be Tuimavave, lightning fast full-back Jamie Shaul and jet-heeled youngster Jack Logan. Halves Leon Pryce and Marc Sneyd will also have no shortage of competition from Tuimavave (signed as a Centre but who has played most of his rugby in the halves or at full-back) and youth players Reece Dean and Harry Tyson-Wilson who will start their season in the newly formed under 23s side. 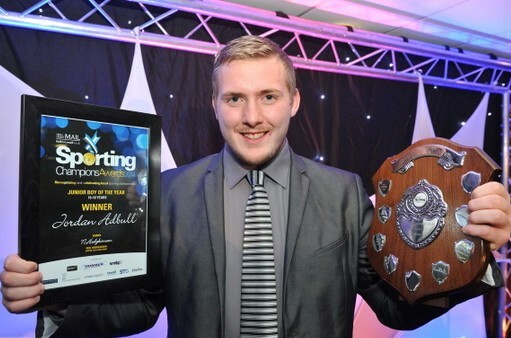 Given the number 13 shirt people will expect teenage sensation Jordan Abdull to start at loose-forward, and against Salford Red Devils in their opening game he probably will, but don’t be surprised to see the rampaging Manu taking over that role against the more physical teams while Abdull will be employed with his kicking and ball-handling skills against the more defensive units. Club Captain Gareth Ellis is expected move up to prop more this year and the established front row will be ably supported by the likes of Chris Green and Josh Bowden, whilst Richard Whiting, Jordan Thompson and club stalwart Kirk Yeaman will provide substantial support for an already frighteningly powerful looking back row that will also have Mark Minichiello in the mix. Danny Washbrook returns to his old side so Vice-Captain Danny Houghton can maybe concentrate more on his attacking game rather than just being the tackling machine of the side. Houghton, and Hull, should definitely benefit from this as his distribution and spark has seemed somewhat wayward in recent times due to the massive amount of energy he loses from repeatedly tackling to get his team out of scrapes that have sometimes been caused by his understandable errors, and those of his team-mates. What will be expected of the black and white side of this divided city is open to debate with some experts expecting mid-table and a seven week hurrah in the Super 8s and at least one noted expert, Martyn Sadler, touting them for a possible top 4 finish as long as they keep the squad healthy. Hull are the perennial sleeping-giant and the Old Faithful have had to endure many false dawns (I should know as a member of the Old Faithful) but with arguably the strongest pack in Super League, I certainly hope, it could be a very good year for the Airlie Birds. I would say top 6 is where Hull should aim for, possibly higher, and don’t rule out a big run at the Challenge Cup if a bit of fortune favours them. The average age of the Hull FC squad against Leeds Rhinos was 23 years old, and it was pushed up to that by the presence of 33 year old Mark Minichiello and 32 year old Feka Palea’aesina. During the match at the KC Stadium the Rhinos, in certain quarters, looked like a team who had a trip to Wembley for the Ladbroke’s Challenge Cup Final on their mind, Hull looked like a side who had youthful energy and desire on theirs. As would be expected it was the treble chasing Rhinos who came out on top 22-36, but not until they had a thorough examination from a fledgling group of young players with a smattering of senior, experienced players. In recent weeks and months the defensively robust Airlie Birds have suddenly removed the shackles and started flinging the ball around and, at times, it has worked to great affect, although probably not enough to worry the bigger sides like a Leeds Rhinos or a Wigan Warriors. Since Lee Radford has been in charge of the team on the black and white side of Hull one thing he hasn’t been afraid to do is to bring his youth players into the first team set-up. Callum Lancaster, Jordan Abdull, Jack Logan, Jansin Turgut, Brad Fash, Jack Downs, Curtis Naughton and brothers Harry and Bobby Tyson-Wilson have all been given their opportunity to show what they can do and have seemingly dealt with it with great maturity and zest. Against the best team in the land the baton was handed to Naughton (who scored a hat-trick at the home of the Super League champions a week earlier) Fash, Downs and, dare we say it, first team regulars Logan and Abdull. While the talk in Hull, on both sides, is of the creation of a ‘Super Academy’ by merging the academies of the bitter rivals Hull FC and Hull KR there is outrage and disgust and incredulity at a statement by Hull FC chairman Adam Pearson who stated that it is necessary because there isn’t enough of a talent pool available for the two clubs to have separate academies. 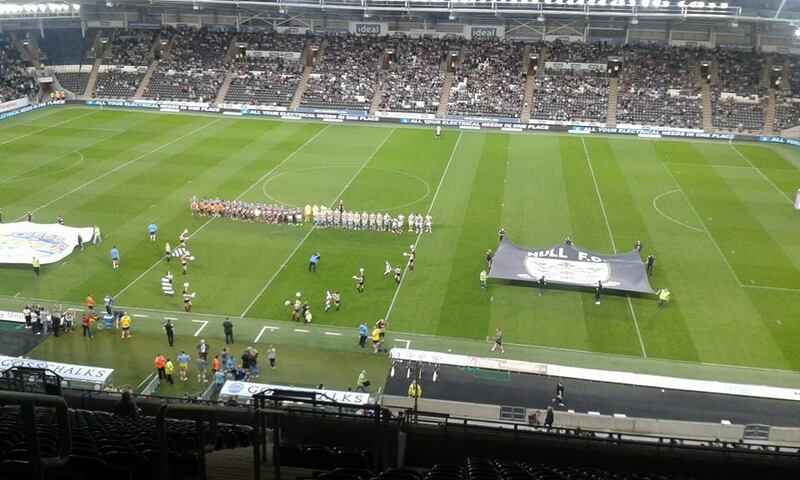 Never mind the fact that the black and white’s academy was recently rated by the RFL as ‘Outstanding’ if you wanted a sign of the talent being produced you need only look on the pitch at the KC Stadium. Any team needs its elder statesmen but it also needs its youth production line and, right now, it has to be said that the production line at Hull FC is looking very healthy, and as evidenced by their upcoming trip to Wembley to face the Rhinos, there isn’t much wrong with the one at Hull KR either although they maybe do have a bit of catching up to do, although a ‘Good’ rating from the RFL suggests they are heading in the right direction. 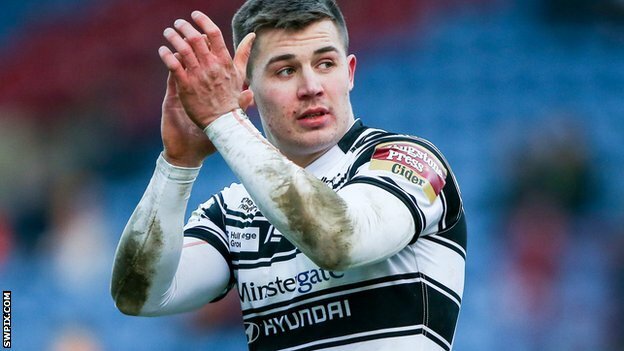 The man of the match for Hull FC last night was another product of the youth set-up at Hull FC, Jamie Shaul had been a bit of a forgotten man but he took his chance with a sublime try against St. Helens last week and took a beautiful offload from Jack Downs to race 90 meters to the line last night. Add to that his creation of tries for Steve Michaels and Jordan Rankin, the man who has largely kept him out of the team this year, and it must almost be like bringing in a new signing for Hull. It seems to me that the future in Hull is very bright in black and white, so why fix what ain’t broken? Hull FC were left ruing some basic mistakes as they pushed the table-topping Leeds Rhinos all the way but were ultimately undone by their more clinical opponents leaving them feeling what might have been as their slim top 4 hopes were dealt a decisive blow in the Super 8s. Lee Radford brought back Jack Logan, Steve Michaels and Feka Palea’aesina after they missed the win against Super League champions St. Helens at Langtree Park last week. Tom Lineham dropped out of the side that stunned the champions for the visit of the Rhinos to the KC Stadium while Jamie Shaul kept hold of his place along with hat-trick hero Curtis Naughton and teenagers Brad Fash and Jack Downs also deservedly kept their places. The first chance came to the Airlie Birds in the first minute as Logan made an impressive break down the left before passing to Michaels who was just brought down short and forced into touch. Despite the bright start by the home side it was the Rhinos who drew first blood after a devestating break by Zak Hardaker saw them go from one end to the other before the ball was finally handed to Ash Handley to dive over in the sixth minute, the conversion from captain Kevin Sinfield gave them a six point advantage completely against the run of play. However it didn’t take the home side long to draw level as another foray into the Rhinos danger zone saw Mark Minichiello completely wrong-foot the defence to stroll through under the posts, the inevitable conversion from Marc Sneyd restored parity after 10 minutes. Hull were clearly willing to chance their arm against the Wembley-bound Rhinos and Logan made another significant break in broken field but his final pass was ruled a touch forward by referee Joe Cobb to give the Rhinos a relieving scrum inside their own 20 meter area. Leeds were afforded another chance against the run of play after being awarded a harsh penalty but an organised and resilient defence from the black and white’s kept them at bay. The second quarter of the game descended into a multitude of mistakes as both sides continually coughed up possession and territory with embarrassing regularity. Finally Hull seemed to get hold of the ball and use it with some purpose after a kick from Leeds went out on the full leading to them being handed possession just inside the Rhinos half but the chance came to nothing as Sneyd’s grubber went dead in goal. Soon after that Naughton made a dash from inside his own 20 meter area before finally being caught 30 meters from the Leeds line, another Sneyd grubber went through and had to be kicked dead by Handley to force a goal line drop out. Another dab through from the boot of Sneyd then unfortunately hit the outside of the post padding to deny the on-rushing Joe Westerman and give the Rhinos desperate defence a chance to run the ball back into the field of play with five minutes to go to the break. The Rhinos gained another chance as they were given a scrum in Hull territory when referee Cobb deemed that a pass had gone forward before hitting the ground, the resulting attack then saw Jamie Peacock held up over the line by a committed and tenacious defence leaving the score at 6-6 at the break. The Rhinos were the first side to force a chance in the early part of the 2nd half with a break in midfield but eventually Jimmy Keinhorst was held up just short of the Hull line as they started the half with more purpose. Hull suddenly sparked into life as Jordan Rankin made a break in the middle of the park, Jamie Shaul took over and then gave a deft pass to Michaels for the Australian to cut inside and give the home side the lead in the 48th minute, Sneyd was unable to add the kick from wide out to leave the hosts leading 10-6. The league leaders were soon on attack however after being awarded a very harsh penalty and eventually the pressure told as Carl Ablett crossed the whitewash on the left side to bring the sides level in the 52nd minute, the conversion from Sinfield edged the Rhinos back in front by two. The Rhinos were seemingly taking the game by the scruff of the neck and were finding yards alarmingly easy to come by and another break from Hardaker saw Rob Burrow race in under the posts to stretch their advantage after 55 minutes, the conversion from Sinfield took them two scores in front and in the blink of an eye Hull looked to be facing mission impossible to save their ailing play-off hopes. On Hull’s next attack another grubber from Sneyd found its way through and the Old Faithful thought Rankin had touched it down but referee Cobb rightly ruled he had knocked it on rather than grounding it. That setback didn’t seem to worry Hull though as a minute later Jamie Shaul raced onto an offload 10 meters from the home sides line to race 90 meters to touchdown under the posts, the conversion from Sneyd brought Hull back within two points with 20 minutes left to play. Hull though made a mess of the short kick-off from Leeds and Ryan Hall gleefully took full advantage to race 40 meters to take Leeds out of range again and the conversion by Sinfield again made it a two score lead for the Rhinos. However Hull weren’t done yet and a chip over the top of the Leeds defensive line from Jordan Abdull was snapped up by Shaul moving at the speed of a race car and then a delightful pass put Rankin in at the right corner, the majestic touchline conversion from Sneyd again brought Hull back within two points with 15 minutes left to play. Two minutes later Hull forced a big mistake as a high kick was spilled by Hardaker under pressure from three players 10 meters from his own line but the pressure was relieved with a knock-on by Hull two tackles later. Another high kick from Hull was then dropped by Ash Golding 10 meters from the Rhinos line and Hull again pressed from the scrum but a wayward pass was snapped up by former Hull favourite Tom Briscoe who then raced 90 meters to go under the posts after 72 minutes, the conversion from Sinfield again took Leeds eight points clear and time seemed to be running out for the black and white’s. A short kick-off from Hull gave them possession but another mistake led to another penalty for the Rhinos to march to the other end again but this time Hull were able to keep them out. The Rhinos then wrapped up the points with three minutes left as Sinfield made a dart down the left and his pass inside put Burrow over for his 2nd of the game, the conversion from the Leeds skipper stretched the lead to a harsh 14 points which rubbed salt into already gaping wounds for Hull. Radford bemoaned a lack of a cutting edge when they needed it, he said: “If you likened that to a boxing event we jabbed their head off but when they got their opportunities they landed a great big haymaker straight on our chin. “That performance showed why Leeds are where they are.